The AfriAlliance project aims to better prepare Africa for future climate change challenges by having African and European stakeholders work together in the areas of water innovation, research, policy, and capacity development. Rather than creating new networks, the 16 EU and African partners in this project consolidate existing ones, consisting of scientists, decision makers, practitioners, citizens and other key stakeholders, into an effective, problem-focused knowledge sharing mechanism. CENTAUR aims to provide an innovative, cost effective, local autonomous sewer flow control system to reduce urban flood risk. CENTAUR has been developed and tested using computer models and a laboratory test facility at the University of Sheffield (UK). A pilot system has been installed in Coimbra (PT) and demonstration site is being designed for implementation in Toulouse (FR). 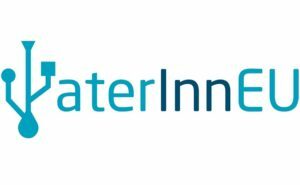 The objective CYTO-WATER is to deploy, for the first time in industrial and environmental waters, a new imaging cytometer platform for the detection and quantification of microorganisms. This will allow quantify Legionella and E. coli population within 120 minutes from obtaining the sample, overcoming in this way the main disadvantage of traditional methods used in laboratories, i.e. long time-to results which can currently last up to 12 days in the case of Legionella and 1 day for E. coli. This tool will be an easy-to-handle portable form, which will increase its versatility and widen the possibilities of onsite applications. DIANA is aimed at co-designing and openly demonstrating a commercial service platform that will empower water managers and authorities to optimise the identification and inspection of non-authorised water abstractions for irrigation as well as improve their water management policies and practices, especially in extreme conditions such as drought. The HYDROUSA project aims to setup, demonstrate and optimise on-site, innovative nature based solutions (NBS) for the management of a variety of water streams, including wastewater, rainwater, groundwater, atmospheric vapour water and seawater to produce valuable resources, which can then be used to enrich the domestic water supply and valorised to increase agricultural production and boost the economic activities of water-scarce Mediterranean areas. INCOVER concept has been designed to move wastewater treatment from being primarily a sanitation technology towards a bio-product recovery industry and a recycled water supplier. A wastewater specific Decision Support System methodology will be tailored to the INCOVER technologies and provide data and selection criteria for a holistic wastewater management approach. Three added-value plants treating wastewater from three case-studies (municipalities, farms and food and beverage industries) will be implemented, assessed and optimised concurrently. INNOQUA is an Innovative Ecological on-site Sanitation System for Water and Resource Savings that integrates individual low cost, sustainable and biologically-based water sanitation technologies capable of performing a whole water treatment cycle with different configurations adapted to local contexts and markets with industrial scale-up. INTCATCH will change the way in which current river and lake water quality monitoring is implemented. The project will accomplish this by developing and demonstrating efficient, user friendly water quality monitoring strategies and systems. These are based on innovative technologies, such as autonomous boats with sensors, DNA test kits and a decision support system. We will empower stakeholders and citizen scientists to engage with water quality management. The INTEGROIL project addresses the development and demonstration of a robust and flexible integrated solution for treating water flows generated in the activities of the Oil&Gas industry, making them of reusable quality and reducing the dependency on water availability. This new solution comprises innovative treatment technologies effectively operated and optimized through a novel Decision Support System which can generate water of high quality to be reused. The solution, although demonstrated in the Oil&Gas sector can be easily implemented in other water-intensive industries. The overall objective of the project is to take stock of Europe’s contemporary practical and scientific knowledge of hydrogeology research and innovation with the help of an inventory of research results, activities, projects and programmes, and then use the inventory to identify critical research challenges and gaps, with a view to avoiding overlaps. The NextGen initiative will evaluate and champion innovative and transformational circular economy solutions and systems that challenge embedded thinking and practices around resource use in the water sector. We will produce new understandings to underpin the exploitation of techniques and technologies that enhance our ability to recover, refine, reuse, repurpose, capture value from, and extend the use-life of, an ever-increasing range of resources and products, thereby projecting the European water and allied sectors as global circular economy pioneers. 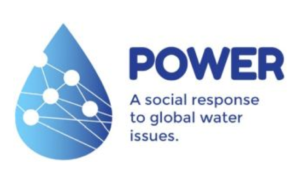 The Project “Political and sOcial awareness on Water EnviRonmental challenges” (POWER) will set up a user-driven Digital Social Platform (DSP) for the expansion and governance of POWER existing water networks. The RESCCUE project aims to help urban areas around the world to become more resilient to climate change by providing innovative models and tools to improve the ability of cities to withstand and recover quickly from multiple shocks and stresses and maintain continuity of services. Run4Life proposes a radical new technological concept for wastewater treatment and nutrient recovery. 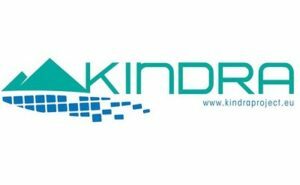 It is based on source-separated collection of domestic wastewaters and kitchen waste, with each flow receiving optimal treatment for resource recovery and subsequent safe reuse. A smart platform fed by on-line monitoring of key performance indicators will allow the decentralized management maximizing nutrient recovery and improving process efficiency. SIM4NEXUS envisions the Nexus concept as an integral part of the transition towards a resource-efficient and low-carbon economy. In order to boost the necessary transition SIM4NEXUS aims to develop innovative methodologies for the facilitation of the design of policies and bridge knowledge and technology gaps in the field of the water-land-food-energy-climate Nexus under climate change conditions. 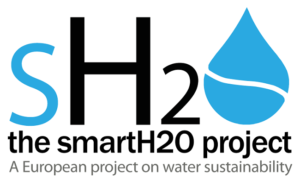 The Smart.met project involves 7 water utilities in a joint Pre-Commercial Procurement (PCP) supported by 6 expert organizations in giving support on the following topics: technical assessment, procurement procedure and dissemination. The objective to be reached is the implementation of an effective, efficient, interoperable solution. The solution will be based on open standard (drinking) water smart metering, delivered by public water utilities capable to identify performance issues, improve customer service and optimization of the supply of water. SMART-Plant is validating and addressing to the market a portfolio of SMARTechnologies that, singularly or combined, can renovate and upgrade existing wastewater treatment plants and give the added value of instigating the paradigm change towards efficient wastewater-based bio-refineries. Real time monitoring of greenhouse gas emissions, energy consumptions and process parameters will support the decisions towards the low carbon and energy footprint that are continuously assessed. LIFE SmartWater demonstrates the water saving capabilities of Advanced Active Leakage Control in the Gouda water distribution network. Agua and Thames Water, focused on making the business case for smart water supply networks around the world. 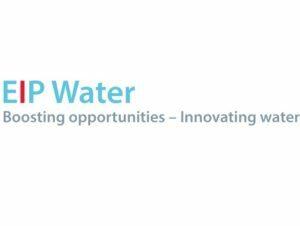 By combining data and experience from four sites in different circumstances across Europe, the initiative allows for forward thinking and knowledge-gathering about smart water on an unprecedented scale, giving new insight into an industry that could save global water operators an estimated €10 billion a year. SPACE-O integrates satellite technology and in-situ monitoring systems with state of the art hydrologic and water quality modelling using advanced ICT tools for generating real time, short to medium term forecasts of water flows and key water quality parameters (e.g. turbidity, algae) in reservoirs, that in turn are used to support decision making in water supply services, enabling proactive informed decision-making at operational level. The H2020 European research project STOP-IT focuses on the strategic, tactical and operational protection of critical water infrastructures against physical and cyber threats. The objective of SUBSOL is to establish a market breakthrough of subsurface water solutions as robust, effective, sustainable, and cost-efficient answers to the freshwater challenges in coastal areas worldwide. We will achieve this by developing a practical approach which will accelerate acceptance of subsurface water solutions and will broaden the market reach and uptake. The SWAMP project develops IoT based methods and approaches for smart water management in precision irrigation domain. The project is a collaboration project between the EU and Brazil and has four pilots in Italy, Spain, and Brazil. The SWAMP project addresses the smart water management challenges by use of the Internet of Things (IoT), data fusion, data analytics, and autonomous drones combined with mobile applications. Target is to analyse the exact need of water, the situation at the farm, and to match the irrigation and water delivery to them. LIFE SWSS main objectives are to create an innovative management and decision support platform (SWSS). The SWSS platform will be demonstrated on three demonstration water supply systems under real working conditions. The goal is to decrease the energy consumption, associated GHG emissions and water leakage by implementing the SWSS platform in the demonstration systems and by implementing reverse-pump for energy recovery (renewable energy) in gravity systems. WADI’s overall objective is to contribute to the reduction of losses in water transmission systems for water supply, irrigation, and hydropower, and simultaneously, to decrease the related energy consumption. The project will develop an airborne water leak detection surveillance service to provide water utilities with adequate information on leaks in water infrastructure outside urban areas, thus enabling prompt and cost-effective repairs. Ctrl+Swan Action Group will be devoted to the further development of innovative sensor systems’ technologies to be integrated and implemented in the design of an innovative approach to the water distribution networks management. The main goal of the RealTime Water Quality Monitoring (RTWQM) Action Group is to foster solutions to water challenges based on online water quality monitoring technologies and affordable monitoring strategies. 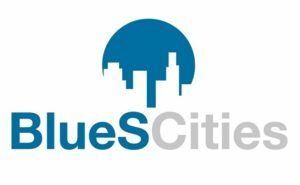 BlueSCities: Blueprints for Smart Cities: Developing the methodology for a coordinated approach to the integration of the water and waste sectors within the EIP Smart Cities and Communities. 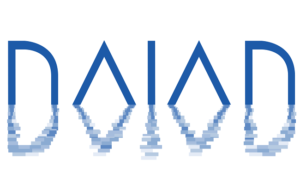 The DAIAD project constitutes an innovative approach for addressing the challenge of efficient water management through real-time knowledge of residential water consumption, bringing together leading members of the water and ICT domains. Our goal is to research and develop innovative low cost, inclusive technologies for real-time, high granularity water monitoring and knowledge extraction. 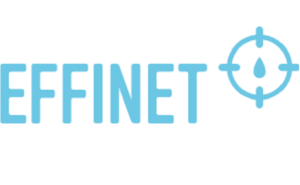 EFFINET addresses three main management problems in urban water system: optimal operational control, real-time monitoring and demand forecasting. ICeWater will increase the stability of freshwater supply to citizens in ur­ban areas by adjusting the water supply to the actual consumption, while minimizing energy consumption through smart-grid integration and water spillage through leak de­tec­tion. 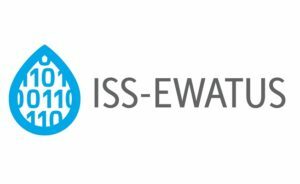 The proposed project is an interdisciplinary effort of specialists from water management and ICT research respectively to develop an intelligent Integrated Support System for Efficient WATer USage and resources management (ISS-EWATUS). 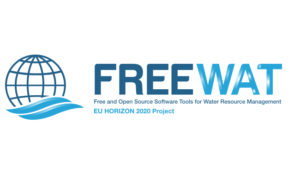 The project will develop several innovative ICT methods aiming to exploit the untapped water-saving potential in EU. 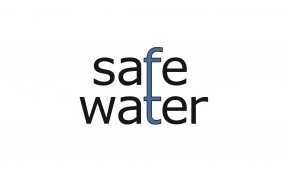 SAFEWATER project is an FP7 security project with the overreaching aim of developing a comprehensive and pragmatic platform to manage the safety and security of drinking water, reducing the time to react and effectively respond to crisis. It is a 39 months project, which started in October 2013 and encompass the development of use cases, software and sensor developments as well as field trials in a range of different settings. SmartH2O builds an ICT platform to apply social computing, data analysis and demand forecast, and flexible pricing to improve residential water consumption. Improving the efficiency of water management in Europe has been recognised by the Euroopean Commission as essential for overcoming the growing exposure of European countries to Water Scarcity and Droughts. 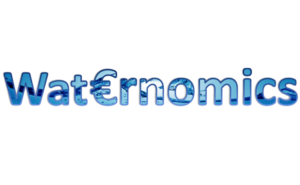 UrbanWater proposes a platform that will enable a better end to-end water management in urban areas, accounting for 17% of freshwater consumption in the EU. 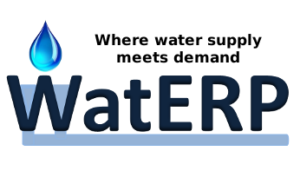 WatERP will develop a web-based “Open Management Platform” (OMP) supported by real-time knowledge on water supply and demand, enabling the entire water distribution system to be viewed in an integrated and customized way. WEAM4i aims to balance and optimise the Water-Energy-Food Nexus in the strategic and operational management of the irrigated agriculture sector. WEAM4i project has covered many case studies to demonstrate innovative techniques for resource efficiency at local level, decision support tools and an ICT/cloud platform for sharing weather forecast and remote sensing data services & applications. 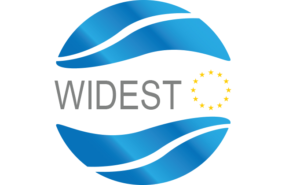 The WISDOM project will combine different innovative technologies (including smart ICT components and decision support system) to integrate water distribution, real time sensor monitoring and high power computing networks.